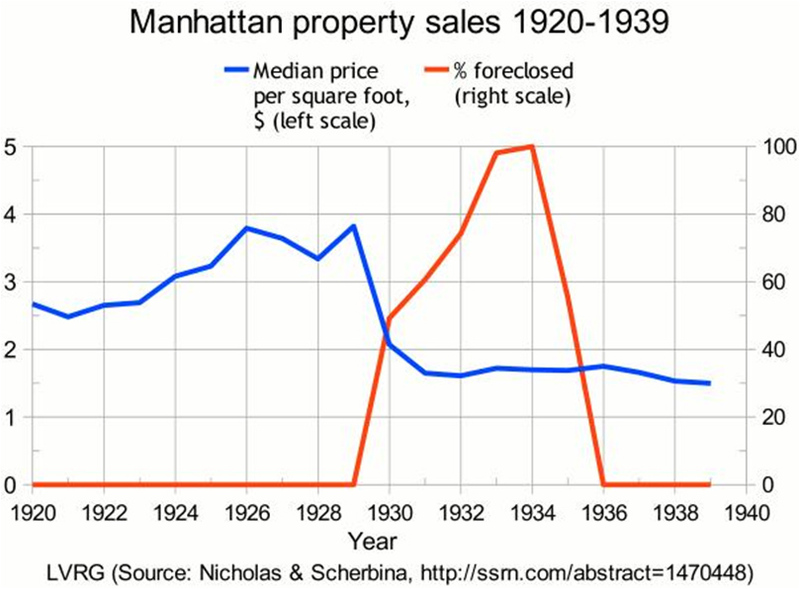 A fascinating paper on Manhattan real estate in the 1920-39 era shows why property went down, stayed down and didn’t recover in real terms until 1960. The paper’s data set reveals an interesting phenomenon. As prices fell in 1929-31, foreclosure sales by banks as a proportion of total sales rose from nil to 60 per cent of all sales while property prices hit rock bottom. You might regard this as a normal and orderly consequence of a bust. Fine. It is what happened next which matters. Banks dislike holding foreclosed properties – they are in the business of writing loans and collecting interest and fees. The mortgagee’s equity has been erased, leaving the bank with a property and an unserviced, uncollectible loan which may or may not correspond in value. By 1931, banks weren’t lending. They were liquefying unwanted assets as fast as they could. The only buyers still standing had cold hard cash and were picking up bargains, thank you very much. 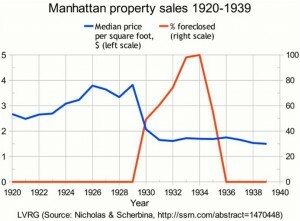 In 1932, foreclosure sales were 75 per cent of all sales, in 1933 they were 98 percent and in 1934 100 percent. In other words, the banks took virtually every buyer and extracted every available dollar from 1930 to 1935. Those cash buyers were offered a smorgasbord of bank-owned property and banks were prepared to discount and discount again to close a sale. Private sellers had no chance. They were outmanoeuvred and ridden over by the realization professionals in the banks. This unrelenting extractive behaviour by the banks for so many years completely remade economic attitudes toward property ownership. The Australian banks handled the 1989-91 property downturn differently. 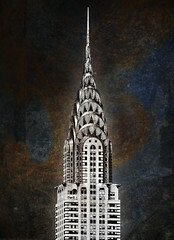 They added the bank-owned stock to the sales lists and gradually fed it through the market over about eighteen months. Prices remained subdued but the process was orderly and nearly invisible. The downturn we are entering will be steeper and sharper than 89-91. Relative to incomes, prices are higher and debt is heavier. Whether we see banks take all the buyers depends on how much property they hold. The large cohort of first home owners enticed to buy by the FHOG in 2009 and 1.25 million negative gearers are seriously at risk of default. Is enough go down, we will witness a direct repeat of the Manhattan experience: Private sellers will be unable to close – for YEARS! Yes I really hope it goes down like a plane with a lost wing!